Himalayas are the mightiest mountain ranges present on Earth. Plate tectonics- The idea that Earth’s surface is divided into large plates that move slowly and change in size over time. 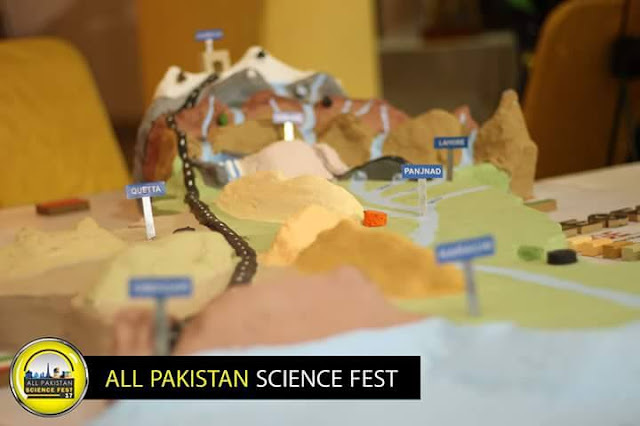 This idea provides a model for understanding many geologic features: faults, folds, volcanoes, earthquakes, and mountain belts. 1) Continental Drift- The idea that continents move freely over Earth’s surface, changing their position relative to each other. This concept was proposed by German meteorologist Alfred Wegener in the early 1900’s. 2) Seafloor Spreading- The concept that new seafloor forms at mid-ocean ridges, and then moves horizontally away from the ridge toward an ocean trench/subduction zone (the seafloor is a conveyor belt). This idea was proposed by Princeton geologist Harry Hess in 1962. 1) The continents look like they could fit together (like a puzzle). 2) Rock types are correlated from continent to continent (across the oceans). 3) The extinct plant fossil, Glossopteris, which grew in temperate climates, is found in South America, Africa, India, Antarctica, and Australia. 4) The extinct reptile, Mesosaurus, is found only in Brazil and South Africa. The mesosaurus lived only in freshwater, and could not swim across oceans. Alfred Wegener proposed that the continents were once assembled into a supercontinent called Pangaea. 1) Northern Pangaea (which includes present day North America and Eurasia) became Laurasia. 2) Southern Pangaea (including South America, Africa, India, Antarctica, and Australia) became Gondwanaland. After Pangaea fragmented, Laurasia drifted northward and Gondwanaland drifted southward. Wegener knew that coral reefs form near the equator, deserts form about 30° north and south of the equator, and glaciation occurs near the poles. Based upon this information, he determined the North and South Pole positions over geologic time. He called the apparent movement polar wandering. 1) The continents remained motionless and the poles actually moved (literal polar wandering). 2) The poles stood approximately still and the continents moved (continental drift). Wegener preferred this explanation. -Some scientists argued that some fossils (especially fossil plants) could have been spread from one continent to another by wind or ocean currents. -Land dwelling reptiles could have spread from continent to continent by land bridges that rose up from the seafloor (this idea was pure speculation, as no appropriate mechanism was known). -Wegener lacked a plausible mechanism by which continents could actually drift. -Wegener's Polar wandering might reflect true wandering of poles rather than drifting of continents. 1) Paleomagnetism- The study of Earth’s magnetic field through time; geologists look at the way magnetic minerals in rocks preserve the magnetic field. When a magnetic mineral crystallizes and cools below its Curie point, its magnetic alignment is locked in. The direction of the mineral alignment gives the direction of magnetic North. The dip of the mineral alignment gives the latitudinal distance from magnetic North. For example, Permian age rocks in North America point to an apparent magnetic North pole in Asia whereas Permian age rocks in Europe point to an apparent magnetic North Pole in Japan. Note: Today, when geologists use the term polar wandering they are referring to an “apparent” wandering of the poles. We know that the poles themselves did not wander (although, as we shall see, the poles flipped or reversed many times throughout geologic history). 2) The continental slope- If the continental slope is taken into account, the plates fit together extremely well. 3) GPS technology- Global positioning satellites allow us to actually watch and measure the drift of the continents (1-16 cm/year). Wegener thought that the seafloor remained stationary whereas the continents moved. In contrast, in the 1960's Harry Hess proposed that the seafloor was also moving. According to Hess, oceanic crust is produced at mid-ocean ridges and subducted at trenches. The driving force for seafloor spreading is convection (hot mantle rises near the mid-ocean ridges and cold mantle sinks near trenches). The best evidence for sea floor spreading was provided by magnetometer surveys perpendicular to mid-ocean ridges. A zebra pattern of magnetic reversals reflects episodic flips in Earth's North and South poles. The zebra pattern of magnetic anomalies is symmetrical about the ridge crest. The concept of seafloor spreading explains the age of the sea floor. Near mid-ocean ridges: sea floor is young and lacks sediment. Away from ridges: seafloor gets older and acquires a thick blanket of pelagic sediment. By the late 1960’s, the hypotheses of continental drift and seafloor spreading had been combined into a single, unified theory of plate tectonics. Recall that a plate is a thick, mobile slab of the Earth’s surface made of lithosphere (crust + upper mantle). Plates glide on the ductile asthenosphere. Divergent plate boundaries can occur in the middle of oceans or in the middle of a continent. The result of a divergent plate boundary is to create a new ocean basin. When a supercontinent like Pangaea breaks up, the divergent boundary is found in the middle of a continent, marked by a continental rift. During the rifting event, the continental crust is stretched and thinned, producing a normal fault. Topographically this results in a rift valley with a central graben. The fault provides a pathway for basaltic magma, which rises up from the mantle to form basalt flows and cinder cones. As divergence continues, sea water will eventually fill the split. True oceanic crust is eventually produced at a mid ocean rift between the two diverging continents. The trailing edge of the continent on each side of the rift becomes a passive margin. Transform boundaries involve strike-slip motion of plates (a conservative boundary). Transform boundaries are characterized by shallow earthquakes. The San Andreas fault is a transform boundary. A previous plate was subducted, and after subduction was complete a subsequent plate arrived with a strike-slip orientation to the mainland. Transform boundaries also occur along the fracture zones of mid-ocean ridges. At convergent plate boundaries, two plates move towards each other. Ocean-ocean convergence- One of the oceanic plates will subduct. The subduction results in an island chain of volcanoes called an island arc (for example, the Phillipines). Ocean-continent convergence- The dense oceanic crust is subducted below the continental crust. A chain of volcanoes forms on the continental crust as a magmatic arc. Regional metamorphism will occur due to the rising hot magmas and also due to the convergent forces. On the landward side of the arc, a fold and thrust belt will form. Continent-continent convergence- In the case of continental-continental convergence, neither plate will subduct. First, ocean floor in-between them the continents is subducted. Eventually, when all the oceanic crust is subducted, the continents will collide. The two continents will weld together along a suture zone. Fold and thrust belts will form from the convergence and regional metamorphism will occur (Himalayan Mountains). A closer look at subduction (for ocean-ocean or ocean-continent subduction). 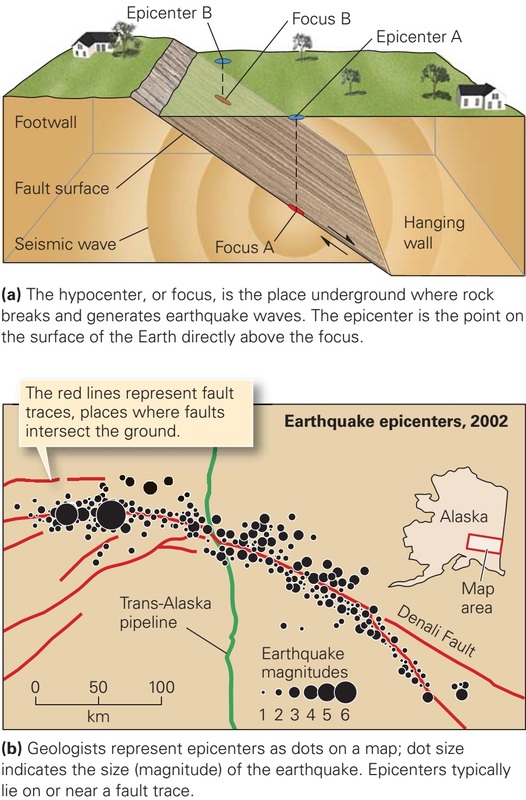 A Benioff zone defined by shallow, intermediate, and deep earthquakes will define the top of the down-going plate. At a depth of ~100 km, magmas will be generated in the asthenosphere overlying the down-going plate. The magmas will rise upward, creating a chain of volcanoes on the overlying plate that parallel the subduction zone. Rock deep within the Earth’s interior is heated and rises whereas shallow, colder denser rock sinks. This sets up a convection current. Huge convection cells may extend from the heat source at the core-mantle boundary all the way to the base of the lithosphere. 1) Ridge-push- Plates move apart at the midocean ridge due to down slopes. 2) Slab-pull- Subducting slabs pull the surface part of the plate away from the ridge. 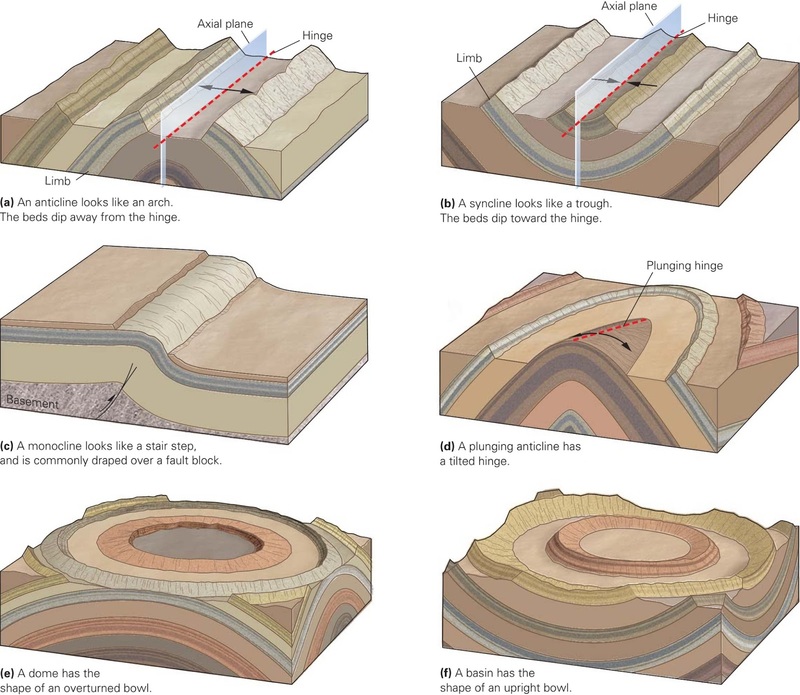 3) Trench-suction- The subducting plate falls into the mantle. As a result, the overlying trench and plate are pulled horizontally, seaward, toward the subducting plate. A modification to the convection model suggests that the mantle transfers heat in the form of narrow columns of hot rock called mantle plumes. The mantle plumes may rise from the core-mantle boundary and stay stationary. The mantle plumes have a wide, mushroom-shaped head and a long, narrow tail. Mantle plumes are proposed to produce “hot-spot” volcanic activity on the earth’s surface, sometimes far away from any plate margins. Hawaii volcanism is “hot-spot” volcanism. Hawaii is located in the middle of the Pacific plate, on oceanic crust. Yellowstone volcanism is another example of “hot-spot” volcanism. Yellowstone is located on the North American plate in the middle of continental crust. Hot spot volcanism fed by a mantle plume is proposed to be the reason for the breakup of Pangaea. The volcanic activity in Colima Volcano was quite active but didn't erupt, not any longer. 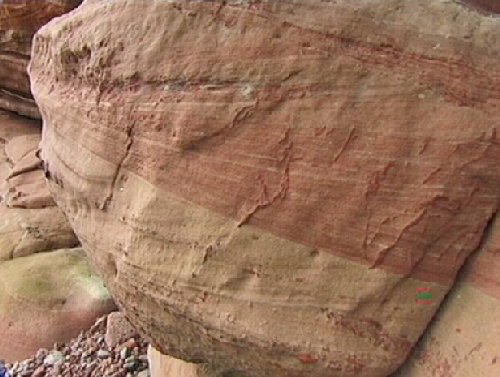 Rock that is close to the land surface is subject to physical and chemical modification by a number of different weathering processes. 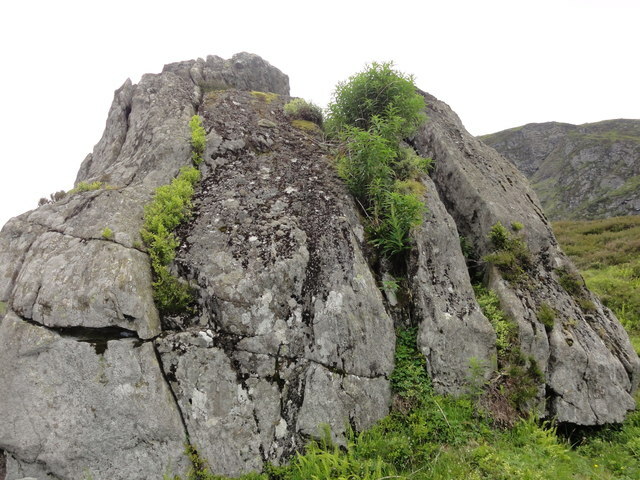 These processes generally start with water percolating down into joints formed by stress release as the rock comes close to the surface, and are most intense at the surface and in the soil profile. Weathering is the breakdown and alteration of bedrock by mechanical and chemical processes that create a regolith (layer of loose material), which is then available for transport away from the site. These are processes that break the solid rock into pieces and may separate the different minerals without involving any chemical reactions. The most important agents in this process are as follows. areas that regularly fluctuate around 0 degree Celsius, such as high mountains in temperate climates and in polar regions. Seawater or other water containing dissolved salts may also penetrate into cracks, especially in coastal areas. Upon evaporation of the water, salt crystals form and their growth generates localised, but significant, forces that can further open cracks in the rock. Changes in temperature probably play a role in the physical breakdown of rock. Rapid changes in temperature occur in some desert areas where the temperature can fluctuate by several tens of degrees Celsius between day and night; if different minerals expand and contract at differentrates, the internal forces created could cause the rock to split. 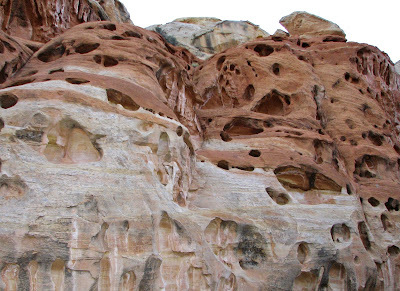 This process is referred to as exfoliation, as thin layers break off the surface of the rock. These processes involve changes to the minerals that make up a rock. The reactions that can take place are as follows. Earth’s surface and so most rock types are not susceptible to rapid solution. It is only under conditions of strongly alkaline waters that silica becomes moderately soluble. Carbonate minerals are moderately soluble, especially if the groundwater (water passing through bedrock close to the surface) is acidic. Most soluble are evaporite minerals such as halite (sodium chloride) and gypsum, which locally can form an important component of sedimentary bedrock. Hydrolysis reactions depend upon the dissociation of H2O into H+ and OH ions that occurs when there is an acidifying agent present. Natural acids that are important in promoting hydrolysis include carbonic acid (formed by the solution of carbon dioxide in water) and humic acids, a range of acids formed by the bacterial breakdown of organic matter in soils. Many silicates undergo hydrolysis reactions, for example the formation of kaolinite (a clay mineral) from orthoclase (a feldspar) by reaction with water. The most widespread evidence of oxidation is the formation of iron oxides and hydroxides from minerals containing iron. The distinctive red-orange rust colour of ferric iron oxides may be seen in many rocks exposed at the surface, even though the amount of iron present may be very small. Material produced by weathering and erosion of material exposed on continental landmasses is referred to as terrigenous (meaning derived from land). Weathered material on the surface is an important component of the regolith that occurs on top of the bedrock in most places. Terrigenous clastic detritus comprises minerals weathered out of bedrock, lithic fragments and new minerals formed by weathering processes. Rock-forming minerals can be categorised in terms of their stability in the surface environment. Stable minerals such as quartz are relatively unaffected by chemical weathering processes and physical weathering simply separates the quartz crystals from each other and from other minerals in the rock. Micas and orthoclase feldspars are relatively resistant to these processes, whereas plagioclase feldspars, amphiboles, pyroxenes and olivines all react very readily under surface conditions and are only rarely carried away from the site of weathering in an unaltered state. The most important products of the chemical weathering of silicates are clay minerals. 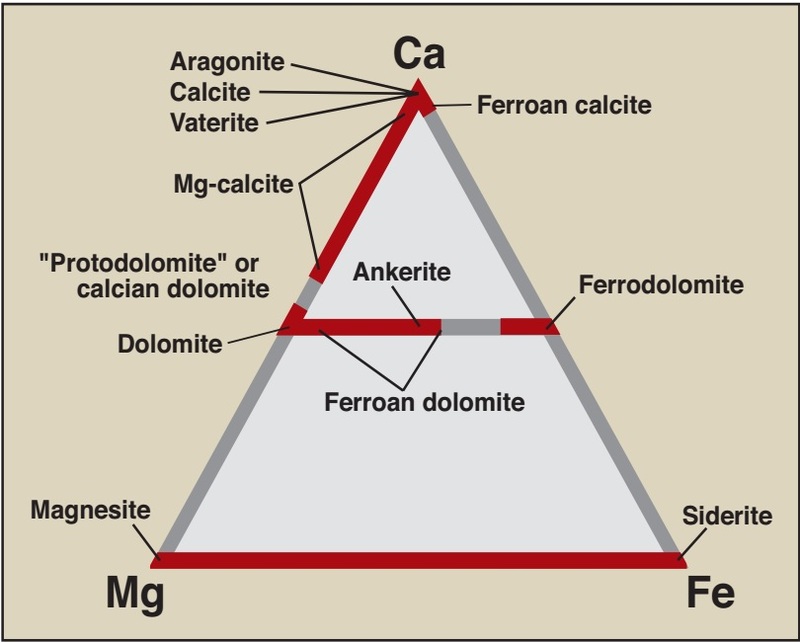 A wide range of clay minerals form as a result of the breakdown of different bedrock minerals under different chemical conditions; the most common are kaolinite, illite, chlorite and montmorillonite. Oxides of aluminium (bauxite) and iron (mainly haematite) also form under conditions of extreme chemical weathering. In places where chemical weathering is subdued, lithic fragments may form an important component of the detritus generated by physical processes. The nature of these fragments will directly reflect the bedrock type and can include any lithology found at the Earth’s surface. Some lithologies do not last very long as fragments: rocks made of evaporite minerals are readily dissolved and other lithologies are very fragile making them susceptible to break-up. Detritus composed of basaltic lithic fragments can form around volcanoes and broken up limestone can make up an important clastic component of some shallow marine environments. Soil formation is an important stage in the transformation of bedrock and regolith into detritus available for transport and deposition. In situ (in place) physical and chemical weathering of bedrock creates a soil that may be further modified by biogenic processes. The roots of plants penetrating into bedrock can enhance break-up of the underlying rock and the accumulation of vegetation (humus) leads to a change in the chemistry of the surface waters as humic acids form. Soil profiles become thicker through time as bedrock is broken up and organic matter accumulates, but a soil is also subject to erosion. Movement under gravity and by the action of flowing water may remove part or all of a soil profile. These erosion processes may be acute on slopes and important on flatter-lying ground where gullying may occur. The soil becomes disaggregated and contributes detritus to rivers. In temperate and humid tropical environments most of the sediment carried in rivers is likely to have been part of a soil profile at some stage. Continental depositional environments are also sites of soil formation, especially the floodplains of rivers. These soils may become buried by overlying layers of sediment and are preserved in the stratigraphic record as fossil soils. Weathering is the in situ breakdown of bedrock and erosion is the removal of regolith material. 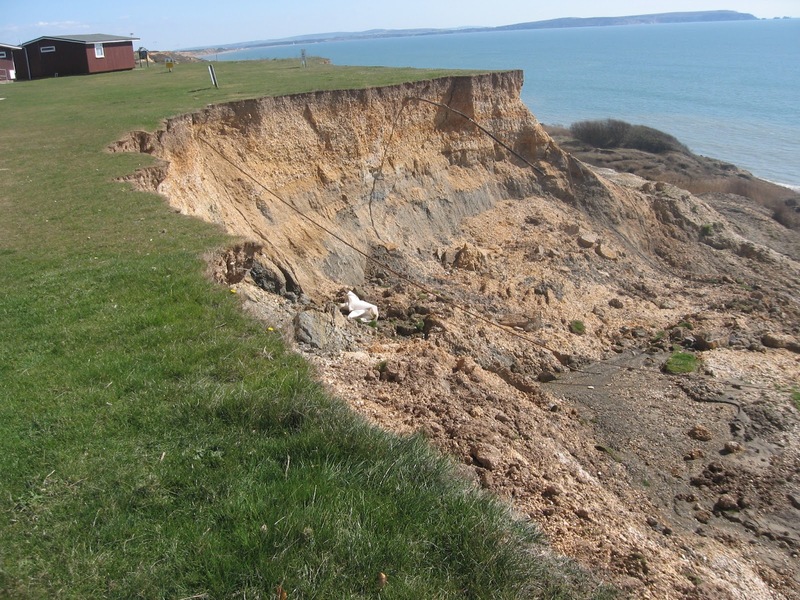 Loose material on the land surface may be transported downslope under gravity, it may be washed by water, blown away by wind, scoured by ice or moved by a combination of these processes. Falls, slides and slumps are responsible for moving vast quantities of material downslope in mountain areas but they do not move detritus very far, only down to the floor of the valleys. The transport of detritus over greater distances normally involves water, although ice and wind also play an important role in some environments. On steep slopes in mountainous areas and along cliffs movements downslope under gravity are commonly the first stages in the erosion and transport of weathered material. There is a spectrum of processes of movement of material downslope. A landslide is a coherent mass of bedrock that has moved downslope without significantly breaking up in the process. Many thousands of cubic metres of rock can be translated downhill retaining the internal structure and stratigraphy of the unit. 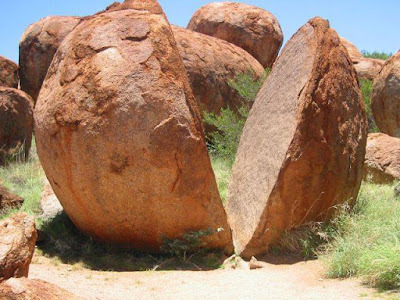 If the rock breaks up during its movement it is a rock fall, which accumulates as a chaotic mass of material at the base of the slope. These movements of material under gravity alone may be triggered by an earthquake, by undercutting at the base of the slope, or by other mechanisms, such as water logging of a potentially unstable slope by a heavy rainfall. Movement downslope may also occur when the regolith is lubricated by water and there is soil creep. This is a much slower process than falls and slides and may not be perceptible unless a hillside is monitored over a number of years. A process that may be considered to be intermediate between creep movement and slides is slumping. Slumps are instantaneous events like slides but the material is plastic due to saturation by water and it deforms during movement downslope. 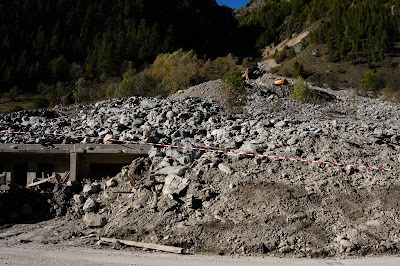 With sufficient water a slump may break up into a debris flow. In mountain areas weathered detritus falls as grains, pebbles and boulders down mountainsides to accumulate near the bottom of the slope. These accumulations ofscree are often reworked by water, ice and wind but sometimes remain preserved as talus cones, i.e. concentrations of debris at the base of gullies. These deposits are characteristically made up of angular to very angular clasts because transport distances are very short, typically only a few hundred metres, so there is little opportunity for the edges of the clasts to become abraded. A small amount of sorting and stratification may result from percolating water flushing smaller particles down through the pile of sediment, but generally scree deposits are poorly sorted and crudely stratified. Bedding is therefore difficult to see in talus deposits but where it can be seen the layers are close to the angle of rest of loose aggregate material. Talus deposits are distinct from alluvial fans because water does not play a role in the transport and deposition. Erosion by water on hillsides is initially as a sheet wash, i.e. unconfined surface run-off down a slope following rain. This overground flow may pick up loose debris from the surface and erode the regolith. The quantity of water involved and its carrying capacity depends not only on the amount of rainfall but also the characteristics of the surface: water runs faster down a steep slope, vegetation tends to reduce flow and trap debris and a porous substrate results in infiltration of the surface water. Surface run-off is therefore most effective at carrying detritus during flash-flood events on steep, impermeable slopes in sparsely vegetated arid regions. Vegetation cover and thicker, permeable soils in temperate and tropical climates tend to reduce the transport capacity of surface run-off. Sheet wash becomes concentrated into rills and gullies that confine the flow and as these gullies coalesce into channels the headwaters of streams and rivers are established. Rivers erode into regolith and bedrock as the turbulent flow scours at the floor and margins of the channel, weakening them until pieces fall off into the stream. Flow over soluble bedrock such as limestone also gradually removes material in solution. 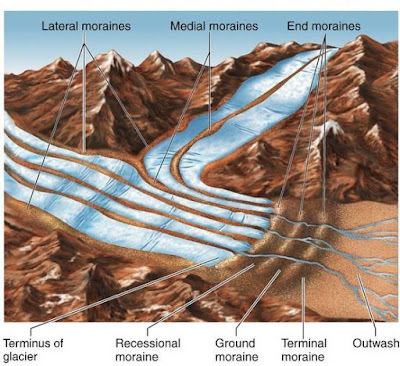 Eroded material may be carried away in the stream flow as bedload, in suspension, or in solution; the confluence of streams forms larger rivers, which may feed alluvial fans, fluvial environments of deposition, lakes or seas. Winds are the result of atmospheric pressure differences that are partly due to global temperature distributions, and also local variations in pressure due to the temperature of water masses that move with ocean currents, heat absorbed by land masses and cold air over high glaciated mountain regions. A complex and shifting pattern of regions of high pressure (anticyclones) and low pressure (depressions) regions generates winds all over the surface of the Earth. Winds experienced at the present day range up to storm force winds of 100 km to hurricanes that are twice that velocity. Winds are capable of picking up loose clay, silt and sand-sized debris from the land surface. Wind erosion is most effective where the land surface is not bound by plants and hence it is prevalent where vegetation is sparse, in cold regions, such as near the poles and in high mountains, and dry deserts. 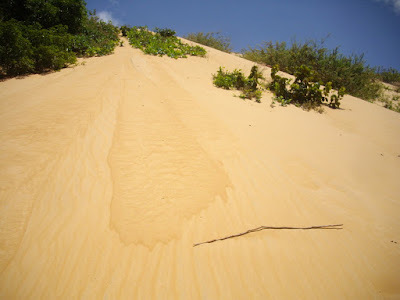 Dry floodplains of rivers, sandy beaches and exposed sand banks in rivers in any climate setting may also be susceptible to wind erosion. Eroded fine material (up to sand grade) can be carried over distances of hundreds or thousands of kilometres by the wind. The size of material carried is related to the strength (velocity) of the air current. Glaciers in temperate mountain regions make a very significant contribution to the erosion and transport of bedrock and regolith. The rate of erosion is between two and ten times greater in glaciated mountain areas than in comparable unglaciated regions. In contrast, glaciers and ice sheets in polar regions tend to inhibit the erosion of material because the ice is frozen to the bedrock: movement of the ice in these polar ‘cold-based’ glaciers is mainly by shearing within the ice body. In temperate (warm based) glaciers, erosion of the bedrock by ice occurs by two processes, abrasion and plucking. 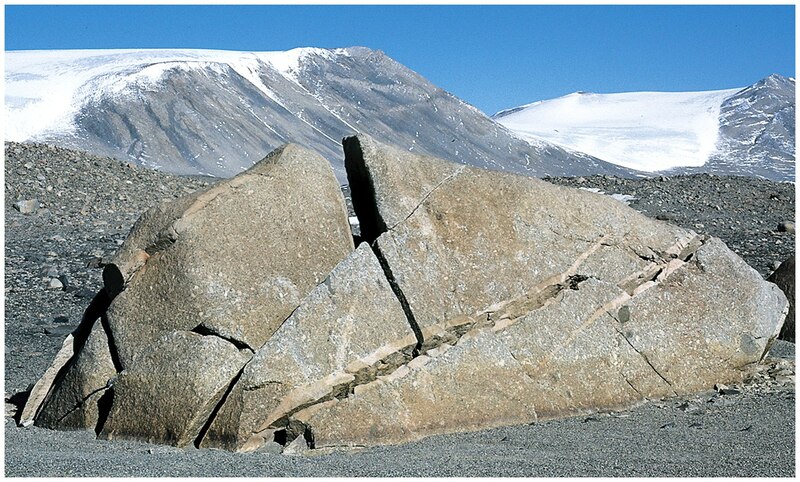 Glacial abrasion occurs by the frictional action of blocks of material embedded in the ice (‘tools’) on the bedrock. These tools cut grooves, glacial striae, in the bedrock a few millimetres deep and elongate parallel to the direction of ice movement: striae can hence be used to determine the pathways of ice flow long after the ice has melted. The scouring process creates rock flour, clay and silt-sized debris that is incorporated into the ice. Glacial plucking is most common where a glacier flows over an obstacle. On the up-flow side of the obstacle abrasion occurs but on the down-flow side the ice dislodges blocks that range from centimetres to metres across. The blocks plucked by the ice and subsequently incorporated into the glacier are often loosened by subglacial freeze-thaw action. The landforms created by this combination of glacial abrasion and plucking are called roche moutone'e, apparently because they resemble sheep from a (very) great distance. A palaeocurrent indicator is evidence for the direction of flow at the time the sediment was deposited, and may also be referred to as the palaeoflow. Palaeoflow data are used in conjunction with facies analysis and provenance studies to make palaeogeographic reconstructions. The data are routinely collected when making a sedimentary log, but additional palaeocurrent data may also be collected from localities that have not been logged in order to increase the size of the data set. Two groups of palaeocurrent indicators in sedimentary structures can be distinguished. Unidirectional indicators are features that give the direction of flow. Cross-lamination is produced by ripples migrating in the direction of the flow of the current. The dip direction of the cross-laminae is measured. Cross-bedding is formed by the migration of aeolian and subaqueous dunes and the direction of dip of the lee slope is approximately the direction of flow. The direction of dip of the cross-strata in cross-bedding is measured. Large-scale cross-bedding and cross-stratification formed by large bars in river channels and shallow marine settings, or the progradation of foresets of Gilbert-type deltas is an indicator of flow direction. The direction of dip of the cross-strata is measured. An exception is epsilon cross-stratification produced by point-bar accumulation,which lies perpendicular to flow direction. Clast imbrication is formed when discoid gravel clasts become oriented in strong flows into a stable position with one of the two longer axes dipping upstream when viewed side-on. Note that this is opposite to the measured direction in cross stratification. Flute casts are local scours in the substrata generated by vortices within a flow. As the turbulent vortex forms it is carried along by the flow and lifted up, away from the basal surface to leave an asymmetric mark on the floor of the flow, with the steep edge on the upstream side. The direction along the axis of the scour away from the steep edge is measured. Flow axis indicators are structures that provide information about the axis of the current but do not differentiate between upstream and downstream directions. They are nevertheless useful in combination with unidirectional indicators, for example, grooves and flutes may be associated with turbidites. 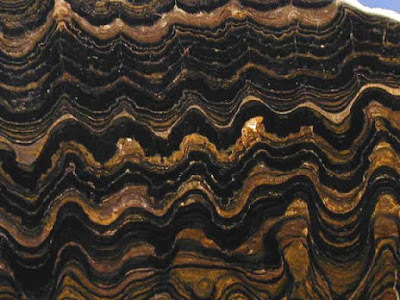 Primary current lineations on bedding planes are measured by determining the orientation of the lines of grains. Groove casts are elongate scours caused by the indentation of a particle carried within a flow that give the flow axis. Elongate clast orientation may provide information if needle-like minerals, elongate fossils such as belemnites, or pieces of wood show a parallel alignment in the flow. Channel and scour margins can be used as indicators because the cut bank of a channel lies parallel to the direction of flow. Stromatolites, essentially, can indicate the heading of paleo-streams. They can frame in lengthen shapes that demonstrate the pattern of streams, or they can be slanted and unbalanced and can be utilized to focus the ability to know east from west, fundamentally landward or toward the ocean, and the introduction of the shoreline. The stromatolites in Shark Bay, Australia have been utilized to recreate a paleocurrent framework in proterozoic silt in view of their shape and introductions. It was found that their extend circular, columnar structure was parallel with the bearing of wave scour, and consequently typical to the shoreline. Although most examinations of old and current stromatolites have finished up to shape ordinary to the shoreline, some stromatolites have indicated distinctive introductions. There have been stromatolites depicted from the Proterozoic that are accepted to have framed parallel to the coastline in view of paleocurrent headings that were deciphered from related sedimentary structures. The circular state of the stromatolites are thought to have been the after effect of tidal streams running parallel to the length of a stretched embayment in the Precambrian Sea. The most commonly used features for determining palaeoflow are cross-stratification, at various scales. The measurement of the direction of dip of an inclined surface is not always straightforward, especially if the surface is curved in three dimensions as is the case with trough cross-stratification. Normally an exposure of cross-bedding that has two vertical faces at right angles is needed, or a horizontal surface cuts through the cross-bedding. In all cases a single vertical cut through the cross-stratification is unsatisfactory because this only gives an apparent dip, which is not necessarily the direction of flow. Imbrication of discoid pebbles is a useful palaeoflow indicator in conglomerates, and if clasts protrude from the rock face, it is usually possible to directly measure the direction of dip of clasts. It must be remembered that imbricated clasts dip upstream, so the direction of dip of the clasts will be 180 degrees from the direction of palaeoflow. Linear features such as grooves and primary current lineations are the easiest things to measure by recording their direction on the bedding surface, but they do not provide a unidirectional flow indicator. The positions of the edges of scours and channels provide an indication of the orientation of a confined flow: three dimensional exposures are needed to make a satisfactory estimate of a channel orientation, and other features such as cross-bedding will be needed to obtain a flow direction. The procedure for the collection and interpretation of palaeocurrent data becomes more complex if the strata have been deformed. The direction has to be recorded as a plunge with respect to the orientation of the bedding, and this direction must then be rotated back to the depositional horizontal using stereonet techniques. In answer to the question of how many data points are required to carry out palaeocurrent analysis, it is tempting to say ‘as many as possible’. The statistical validity of the mean will be improved with more data, but if only a general trend of flow is required for the project in hand, then fewer will be required. A detailed palaeoenvironmental analysis is likely to require many tens or hundreds of readings. In general, a mean based on less than 10 readings would be considered to be unreliable, but sometimes only a few data points are available, and any data are better than none. Although every effort should be made to obtain reliable readings, the quality of exposure does not always make this possible, and sometimes the palaeocurrent reading will be known to be rather approximate. Once again, anything may be better than nothing, but the degree of confidence in the data should be noted. There are several important considerations when collecting palaeocurrent data. Firstly it is absolutely essential to record the nature of the palaeocurrent indicator that has been recorded (trough cross-bedding, flute marks, primary current lineation, and so on). Secondly, the facies of the beds that contain the palaeoflow indicators is also critical: the deposits of a river channel will have current indicators that reflect the river flow, but in overbank deposits the flow may have been perpendicular to the river channel. Lastly, not all palaeoflow indicators have the same ‘rank’: due to the irregularities of flow in a channel, a ripple on a bar may be oriented in almost any direction, but the downstream face of a large sandy or gravelly bar will produce cross-bedding that is close to the direction of flow of the river. It is therefore good practice to separate palaeoflow indicators into their different ranks when carrying out analyses of the data. Directional data are commonly collected and used in geology. Palaeocurrents are most frequently encountered in sedimentology, but similar data are collected in structural analyses. Once a set of data has been collected it is useful to be able to determine parameters such as the mean direction and the spread about the mean (or standard deviation). The procedure used for calculating the mean of a set of directional data is described below. Palaeocurrent data are normally plotted on a rose diagram. This is a circular histogram on which directional data are plotted. The calculated mean can also be added. The base used is a circle divided up with radii at 108 or 208 intervals and containing a series of concentric circles. The data are firstly grouped into blocks of 108 or 208 (0018–0208, 021–0408, etc.) and the number that fall within each range is marked by gradations out from the centre of the circular histogram. Mixtures of detritus and fluid that move under gravity are known collectively as mass flows, gravity flows or density currents. A number of different mechanisms are involved and all require a slope to provide the potential energy to drive the flow. This slope may be the surface over which the flow occurs, but a gravity flow will also move on a horizontal surface if it thins downflow, in which case the potential energy is provided by the difference in height between the tops of the upstream and the downstream parts of the flow. 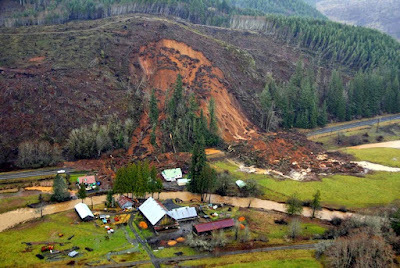 Debris flows are dense, viscous mixtures of sediment and water in which the volume and mass of sediment exceeds that of water. A dense, viscous mixture of this sort will typically have a low Reynolds number so the flow is likely to be laminar. In the absence of turbulence no dynamic sorting of material into different sizes occurs during flow and the resulting deposit is very poorly sorted. Some sorting may develop by slow settling and locally there may be reverse grading produced by shear at the bed boundary. Material of any size from clay to large boulders may be present. 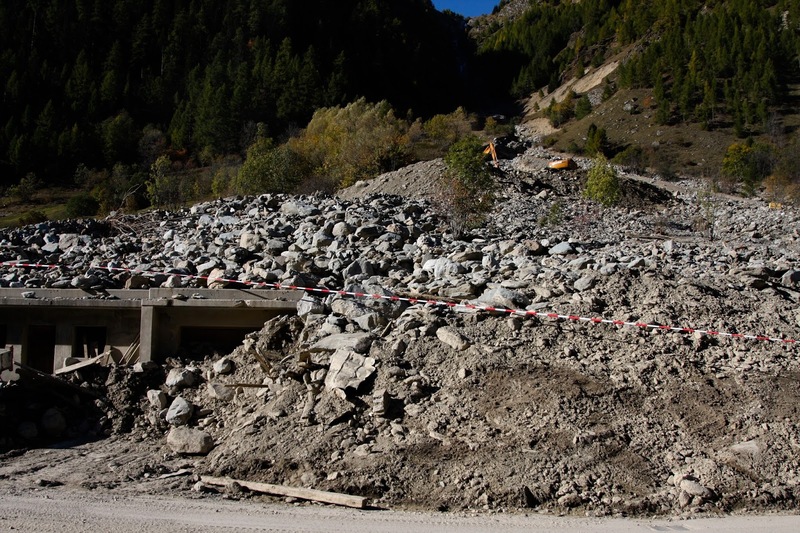 Debris flows occur on land, principally in arid environments where water supply is sparse (such as some alluvial fans) and in submarine environments where they transport material down continental slopes and locally on some coarse-grained delta slopes. Deposition occurs when internal friction becomes too great and the flow ‘freezes’. There may be little change in the thickness of the deposit in a proximal to distal direction and the clast size distribution may be the same throughout the deposit. The deposits of debris flows on land are typically matrix-supported conglomerates although clast-supported deposits also occur if the relative proportion of large clasts is high in the sediment mixture. They are poorly sorted and show a chaotic fabric, i.e. there is usually no preferred orientation to the clasts, except within zones of shearing that may form at the base of the flow. When a debris flow travels through water it may partly mix with it and the top part of the flow may become dilute. The tops of subaqueous debris flows are therefore characterised by a gradation up into better sorted, graded sediment, which may have the characteristics of a turbidite. Turbidity currents are gravity-driven turbid mixtures of sediment temporarily suspended in water. They are less dense mixtures than debris flows and with a relatively high Reynolds number are usually turbulent flows. The name is derived from their characteristics of being opaque mixtures of sediment and water (turbid) and not the turbulent flow. They flow down slopes or over a horizontal surface provided that the thickness of the flow is greater upflow than it is downflow. The deposit of a turbidity current is a turbidite. The sediment mixture may contain gravel, sand and mud in concentrations as little as a few parts per thousand or up to 10% by weight: at the high concentrations the flows may not be turbulent and are not always referred to as turbidity currents. The volumes of material involved in a single flow event can be anything up to tens of cubic kilometres, which is spread out by the flow and deposited as a layer a few millimetres to tens of metres thick. Turbidity currents, and hence turbidites, can occur in water anywhere that there is a supply of sediment and a slope. They are common in deep lakes, and may occur on continental shelves, but are most abundant in deep marine environments, where turbidites are the dominant clastic deposit. The association with deep marine environments may lead to the assumption that all turbidites are deep marine deposits, but they are not an indicator of depth as turbidity currents are a process that can occur in shallow water as well. Sediment that is initially in suspension in the turbidity current starts to come into contact with the underlying surface where it may come to a halt or move by rolling and suspension. In doing so it comes out of suspension and the density of the flow is reduced. Flow in a turbidity current is maintained by the density contrast between the sediment-water mix and the water, and if this contrast is reduced, the flow slows down. At the head of the flow turbulent mixing of the current with the water dilutes the turbidity current and also reduces the density contrast. As more sediment is deposited from the decelerating flow a deposit accumulates and the flow eventually comes to a halt when the flow has spread out as a thin, even sheet. The first material to be deposited from a turbidity current will be the coarsest as this will fall out of suspension first. Therefore a turbidite is characteristically normally graded. Other sedimentary structures within the graded bed reflect the changing processes that occur during the flow and these vary according to the density of the initial mixture. Low- to medium-density turbidity currents will ideally form a succession known as a Bouma sequence, named after the geologist who first described them. Five divisions are recognised within the Bouma sequence, referred to as ‘a’ to ‘e’ divisions and annotated Ta, Tb and so on. Ta: This lowest part consists of poorly sorted, structureless sand: on the scoured base deposition occurs rapidly from suspension with reduced turbulence inhibiting the formation of bedforms. Tb: Laminated sand characterises this layer, the grain size is normally finer than in ‘a’ and the material is better sorted: the parallel laminae are generated by the separation of grains in upper flow regime transport. Tc: Cross-laminated medium to fine sand, sometimes with climbing ripple lamination, form the middle division of the Bouma sequence: these characteristics indicate moderate flow velocities within the ripple bedform stability field and high sedimentation rates. Convolute lamination can also occur in this division. Td: Fine sand and silt in this layer are the products of waning flow in the turbidity current: horizontal laminae may occur but the lamination is commonly less well defined than in the ‘b’ layer. Te: The top part of the turbidite consists of finegrained sediment of silt and clay grade: it is deposited from suspension after the turbidity current has come to rest and is therefore a hemipelagic deposit. Turbidity currents are waning flows, that is, they decrease velocity through time as they deposit material, but this means that they also decrease velocity with distance from the source. There is therefore a decrease in the grain size deposited with distance. The lower parts of the Bouma sequence are only present in the more proximal parts of the flow. With distance the lower divisions are progressively lost as the flow carries only finer sediment and only the ‘c’ to ‘e’ or perhaps just ‘d’ and ‘e’ parts of the Bouma sequence are deposited. In the more proximal regions the flow turbulence may be strong enough to cause scouring and completely remove the upper parts of a previously deposited bed. The ‘d’ and ‘e’ divisions may therefore be absent due to this erosion and the eroded sediment may be incorporated into the overlying deposit as mud clasts. The complete Ta to Te sequence is therefore only likely to occur in certain parts of the deposit, and even there intermediate divisions may be absent due, for example, to rapid deposition preventing ripple formation in Tc. Complete Ta-e Bouma sequences are in fact rather rare. Under conditions where there is a higher density of material in the mixture the processes in the flow and hence of the characteristics of the deposit are different from those described above. High-density turbidity currents have a bulk density of at least 1.1 g/cm 3. The turbidites deposited by these flows have a thicker coarse unit at their base, which can be divided into three divisions. Divisions S1 and S2 are traction deposits of coarse material, with the upper part, S2, representing the ‘freezing’ of the traction flow. Overlying this is a unit, S3, that is characterised by fluid-escape structures indicating rapid deposition of sediment. The upper part of the succession is more similar to the Bouma Sequence, with Tt equivalent to Tb and Tc and overlain by Td and Te: this upper part therefore reflects deposition from a lower density flow once most of the sediment had already been deposited in the ‘S’ division. 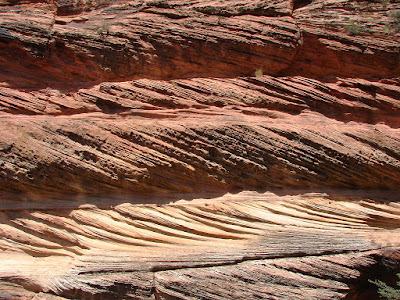 The characteristics of high-density turbidites were described by Lowe, after whom the succession is sometimes named. Avalanches are mechanisms of mass transport down a steep slope, which are also known as grain flows. Particles in a grain flow are kept apart in the fluid medium by repeated grain to grain collisions and grain flows rapidly ‘freeze’ as soon as the kinetic energy of the particles falls below a critical value. This mechanism is most effective in well-sorted material falling under gravity down a steep slope such as the slip face of an aeolian dune. When the particles in the flow are in temporary suspension there is a tendency for the finer grains to fall between the coarser ones, a process known as kinetic sieving, which results in a slight reverse grading in the layer once it is deposited. Although most common on a small scale in sands, grain flows may also occur in coarser, gravelly material in a steep subaqueous setting such as the foreset of a Gilbert-type delta.